It never fails to amaze family, friends and waiters how much my 5 kids can eat! I'm not sure if it's because of their ages (3- to 8-years old), or that they eat with gusto and all stay slender. There is definitely the stereotype that boys (I've got 4) can eat you out of house and home, and in my experience this is true! However, my only daughter can definitely eat enough to make you raise an eyebrow. The kids are all very active with swimming, skateboarding, bicycling and riding scooters, so that could definitely explain their hearty appetites. Although my kids are eating machines, I take a very balanced approach and try to offer them a good variety of foods. As I type, my kitchen is bursting with all kids of fruits, veggies, legumes, milk and milk products, breads and grains, fish and seafood products...and lots of other good food that Mother Nature is proud of. Browsing through my pantries, you will not find a lot of junk food at all. For example, you will not usually find the 3 Cs: chips, candies, and cookies. When I'm making the kids' lunches for school, I'm thinking about nutrition, I'm thinking about foods that they will eat, and also about what will fill them. My oldest son comes home hungry if I don't include a protein like chicken or turkey meat, and 3 snacks like an apple, banana and a small bag of carrot sticks. He does well when I pack a sandwich with Schneiders Country Naturals meats. If I add a slice or two of cheese to his sandwich with bean or alfalfa sprouts, it really wards off his appetite. Schneiders Country Natural meats have no preservatives added, no artificial ingredients, colours or flavours, no additives, and no MSG or by-products. To me, this is a very decent choice when going the sandwich meat route. On the days when my kids have a fuller schedule than usual, or have a lot of sports in their routine, I like to pack Schneiders Lunch Mate Stackers in their lunch bags. 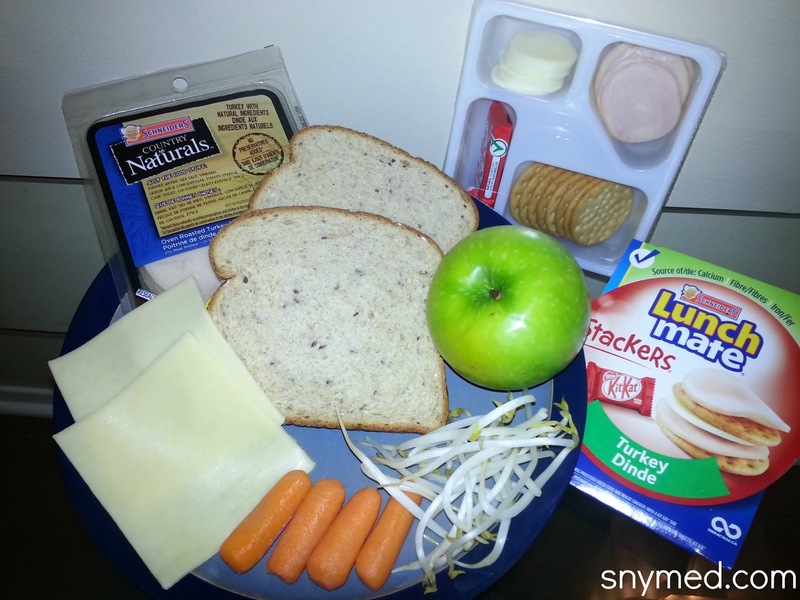 Inside the Lunch Mate box, there are crackers, cheese slices, meat slices and one miniature chocolate bar. My kids really enjoy receiving a Lunch Mate box when I give it, and I think it is a better choice than many alternatives I can think of. 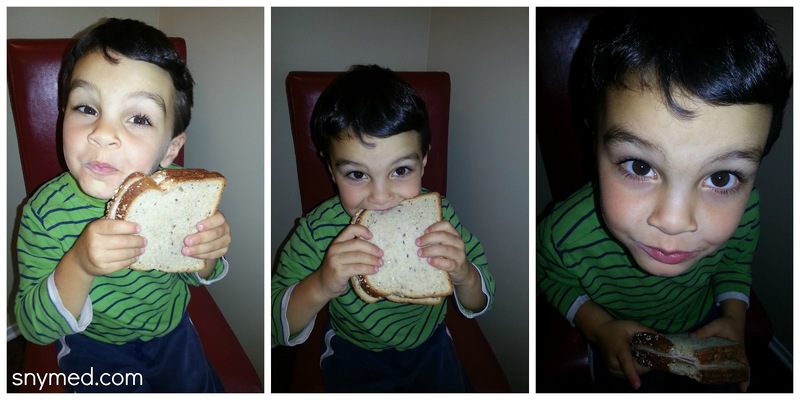 A Big Sandwich for a Little Guy - With a Big Appetite! *I always offer at least one fruit and at least one vegetable to my kids when offering this sandwich. On August 23rd, Schneiders is going to make it easy to save with a Back to School Savings portal featuring coupons available for a variety of Schneiders products! Follow Schneiders on social media for more details. August 22nd 2013 - Enter the Schneiders #LoveLunch Contest! On August 22nd, Schneiders will welcome Canadians to share their favourite lunch photos to win daily prizes of Crayola crayon packs and weekly prizes of $500 Grocery Gift Cards! Stay tuned for more details to come! September 17th 2013, 9:00 PM EST - Join Schneiders on Twitter to #LoveLunch! Join the Schneiders Twitter to party with fellow lunch lovers across Canada! Learn the tastiest ways to #LoveLunch with a chance at over $1,000 in prizes up for grabs! 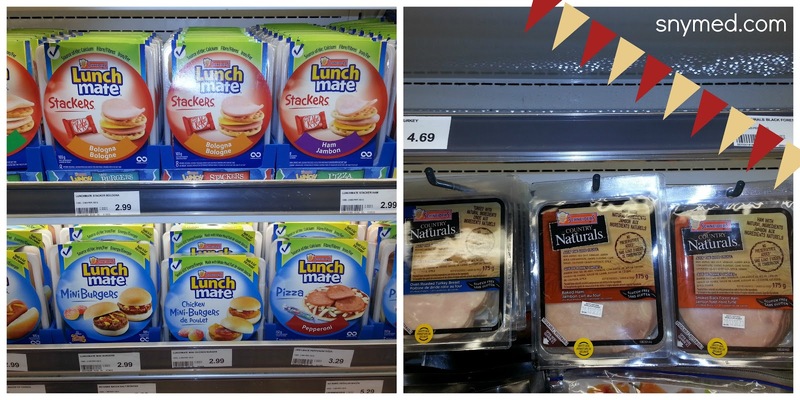 Follow @Schneiders on Twitter for all the details and stay tuned to the hashtag #Lovelunch! Add Schneiders to your Social Networks! WINNERS: Tammy D & Tricia C.
WIN 1 of 2 prizes of $20 in Schneiders FREE Product Coupons (I'm giving away $40 total in FREE Product Coupons)! The coupons are good for any Schneiders products you can think of and can be combined on one purchase! Contest open to Canada, and ends on Thursday September 12th, 2013. Leave a COMMENT below stating your favourite Schneiders product, OR a Schneiders product you would like to try, OR how you like to serve Schneiders products. Then, use the entry form below to enter the contest. GOOD LUCK! J'aimerais avoir les produits. Faire une sortie au parc avec les enfants. J'aimerais avoir le produit pour faire une sorite avec les petits enfants au parc. My son is 4 turning 5 the end of October... He is weighing around 74 pounds but he is not fat just a solid little guy... His appetite eats me out of the house and he loves lunchables or pretty much any sort of sandwich... Coupons and giveaways are definitely appreciate! I like their meat pies. I saw the recipe for Country Ham Stuffed Tomatoes & I'm going to try it. Looks yummy. I love their lean meats and their sausages! thanks ! I would like to try Schneider's Country Naturals! I love the scheinder's bacon. I visited the Schneiders website & I think the Country Natural products look pretty tasty! my fave schnieders product is their red hot weenies! the summer hot dog sensation looks marvelous! I like their chicken wings because I get to decide how much sauce to mix with their wings after they come out of the oven. we love the schneiders hotdogs! I love the peperettes and my husband loves the natural lunch meats! the country ham stuffed tomatoes look so YUMMY! I love Schneiders Country Naturals Honey Garlic Countryside Fresh Sausages. Our family really likes the Country Naturals sausages. My family really likes the Schneiders Country Naturals sausages. I would love to try the Country Naturals Honey Garlic Countryside Fresh Sausages. The country ham stuffed tomatoes looks delicious! The Schneiders Country Naturals Honey Garlic Sausages are to die for!!! the country ham stuffed tomatoes look yummy! I love Scheinders Grill Ems! I seen the country naturals bacon there,,yum! I love the sliced turkey breast for sandwiches. Country Naturals bacon looks very tasty, can't go wrong with bacon! I am craving for some red hots now! I'd like to try the Country Natural Sausages. Schneiders Country Naturals have no msg or by-products. Love Schneider's bacon -- any variety! I love their red hots - hotdogs. Eat them all the time! entering in the form as jen s.
on the website i saw the Country Naturals Honey Garlic Countryside Sausages - they look great, and no artificial ingredients and preservatives. The country ham looks good. My kids would only eat "Schneider's Weiners" and love them to this day. We only buy the Schneider's brand Balogna and wonderful Ham - every other brand tastes "strange". country natural oven roasted chicken meat looks good. I love the grill ems.. yum! I see tasty Country Ham Stuffed Tomatoes. I like their natural products lots of less fat and bi products Schneiders Hot Dogs in this line will have to try these. I think their lunchmates snackers are pretty yummy! I love the country naturals lunch meat! scnieders country naturals oven roasted turkey lunch meat looks super good! Saw the Summer Hot Dog Sensation on the Schneiders website. Looks yummy. A must-try! I like to try the Country Naturals bacon. visited the website and the Country Naturals Smoked Uncured Ham looks super tasty! I love the Country Naturals products especially the hotdogs. The country ham looks delish! THE SCHNEIDERS COUNTRY NATURALS WEINERS FOR ADULTS LOOK GOOD! I think their hot dogs looks tasty! I saw the country naturals bacon,,yummy! I saw Country Ham Stuffed Tomatoes. I think their country naturals bacon looks super tasty. Schneiders Country Naturals Chicken Burgers look tasty. I especially like hopw they are gluten free. The Hot dogs look yummy! I think the Country Naturals Honey Garlic Countryside Fresh Sausages looks pretty tasty. the country naturals roast turkey sounds yum. Country Ham Stuffed Tomatoes recipe looks great. thanks. Love the Scheinders Pepperettes,,great snacks! I thin the pepperettes looks tasty! Country Naturals Bacon is tasty, just had some for brunch! I found the recipe for Country Ham Stuffed Tomatoes on the site. I'm going to try it. I saw a recipe for a Prosciutto Basil Pizza - delish! I saw the summer hot dog sensation and I think I might give it a try. The meat pies look good! Our household is usually stocked full of Schneiders products. In our fridge we have Red Hots, Grillems, and lunchmates not to mention what else. I saw the country naturals bacon.,.hmmm! I think the Schneiders pepperette looks tasty. I think the schneiders natural sausage snacks looks tasty. The All natural turkey roast sounds delicious!!! the Country Naturals Smoked Sausage with Cheddar Cheese look really tasty. I think the natural country bacon sounds tasty. I think their country natural ham looks tasty. My daughter loves the pepperettes! I would like to try the Natural Country Bacon! I think the Schneiders Country Naturals Uncured Black Forest Ham looks super tasty. I saw the country naturals bacon there..yum! The Scheinders Juicy Jumbos look delish! I love their Country Naturals bacon! I think the country naturals salami looks tasty. The Schneiders bacon looks delish!! country naturals bacon looks super tasty. I totally want to try the Country Naturals bacon. We pretty much eat bacon every weekend breakfast. And let's face it...............it's bacon! The country naturals bacon looks really tasty. country naturals bacon looks good. I would like to try any of the Country Naturals products. I saw Country Naturals Oven Roast Chicken. country naturals bacon ;looks good. I think their pepperettes looks really tasty. country naturals ham is oh so yummy!! the Country Naturals Bacon looks super tasty! My favourite is the Schneiders Country Naturals Smoked Uncured Ham. I think the Country Naturals Oven Roast Chicken looks really tasty. The naturels bacon looks delish! country naturals ham looks good.